Playbook Policy: Was 'Deflate'gate Ever Written In? Back in September, we wrote about how the NFL needed to dust off its Code of Conduct after the Baltimore Ravens scandal with player Ray Rice. We wrote about how that whole schmozle was handled and how important it is to reinforce policies and procedures – aka the rules we all need to play by. Now, growing up, if you didn’t play by the rules, or if you ‘altered’ the rules somehow in an attempt to benefit your situation, you were a cheater, plain and simple. Nobody likes cheaters. So what makes this okay in the adult world? Jumping on this ‘deflate’gate wagon thing (because who really wants to be left behind), here’s my non-football-mind take on this scandal. If a ball is under inflated then it can be caught easier. Okay, makes sense. I suppose in soccer if a ball is over inflated then it can be kicked harder and farther, but that’s beside the point. 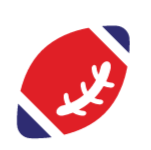 On January 18, during their game against the Indianapolis Colts (winner heads to the Super Bowl) the Patriots played part of the game with balls that were under inflated. This would make it easier for catching the ball, etc. Let’s forget about the fact that supposedly it wouldn’t have mattered anyway because the ‘Colts’ weren’t firing at full range anyway. Let’s talk about the fact that someone, somehow, deflated these footballs and that’s a big no-no. This act goes against the NFL Code and breaks all policies. Let’s also talk about that fact that this isn’t the first time the Patriots haven’t been so patriotic towards the rules. There have been numerous instances of under inflated balls, filming opponent coaching staff to understand their hand signals, and other boundaries that have been pushed by coach Bill Belichick that are not part of conventional practice that other teams are adhering to. So let’s break this down into laymen. If teams are supposed to play by the rules as set out in policy, what makes one team deserving of breaking these rules? Let’s go even deeper – Patriots are the employee, NFL is the employer. If an employee at an organization were to break rules, go against the company Code of Conduct and Ethics, what’s going to happen to that employee? In most non-corrupt organization’s there’s reporting of the wrongdoing, followed by investigation, and remediation. If an employee is committing fraud in order to ‘better’ his/her financial position (football team committing fraud to better their end of game outcome)… do you see what I’m getting at here? The league has a Code of Conduct and Ethics that states that all employees in the NFL should avoid conduct that is detrimental to the organization. That’s at a higher level. But stepping down a notch, they have a similar Code that governs the rules of play, so the same attention needs to be given to it. Teams in the past have come forward to report fraudulent incidents concerning the Patriots. These would be your ‘whistleblowers’ if you will. They see wrongdoing, they report the incident, because they believe in an ethical culture. Just like other organizations who have taken an ‘ethical culture’ approach, and are committing to accountability, integrity, and transparency, the NFL, and their teams really need to shift gears and start engaging in creating a better culture all around. Doing so promotes trust, and trust is a very strong word. It needs to be earned. We’re committed to helping organizations build and promote their culture of trust by giving all stakeholders the tools they need to create a desire to help the organization succeed, while working harder, smarter, and surrounded by trust. Learn more about creating an open culture by downloading our eBook. Oh and if I were to just lay it out there, I’m going for the Seahawks.